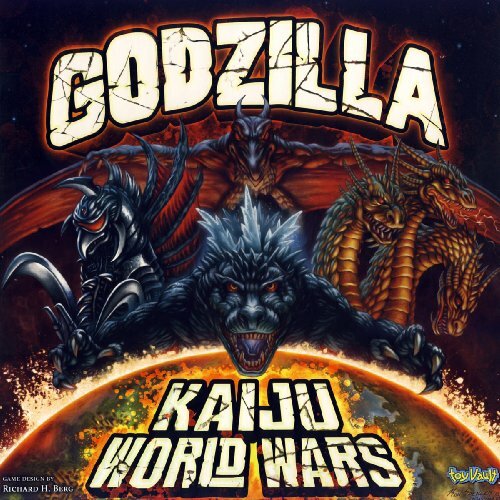 GODZILLA: KAIJU WORLD WARS will recreate all the action with the kaiju of the famous Toho (licensed) movies. Kaiju will battle kaiju . . .and humans . . . to destroy cities and each other. This will be the first in a series of games that will all be playable by themselves but will add new and different kaiju to the series, as well as enabling players to “build” bigger cities. The games will include figures of the kaiju as well as building pieces to give players a great 3-D visual effect, as well as enabling them to destroy all those buildings. The game uses a unique Battle Card system to resolve combat. The first game will include Godzilla, Gigan, Rodan and King Ghidorah.GODZILLA: KAIJU WORLD WARS will be fast, furious fun fighting game for ages 14 and up . . . with a playing time of one hour or less. Godzilla stands a little over 5 inches tall and is on a decorated base that is another inch and a half. Incredibly reproduced and beautifully detailed, this statue has light up mouth and back fin. The unique Godzilla sound is perfectly captured as well. This is the first figure in the Destroy All Monsters Series that will feature all 11 monsters from the film. 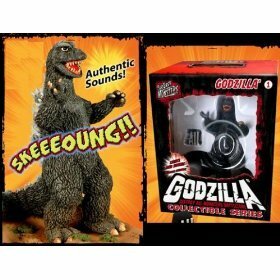 A must have for all Godzilla fans. No Assembly Required. Batteries Included. Limited Edition. 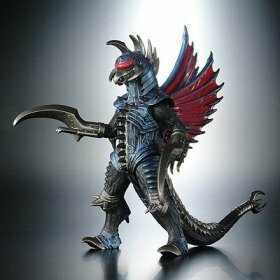 Gigan 2005 6.5″ (new release) from Bandai Japan. Fully articulated. Comes new with original tags attached.